Now tonight’s dinner was decided at 7.52 am when Ian, having left for work, ran back up the stairs stumbled into the bedroom and said one word! ‘Autumn’! 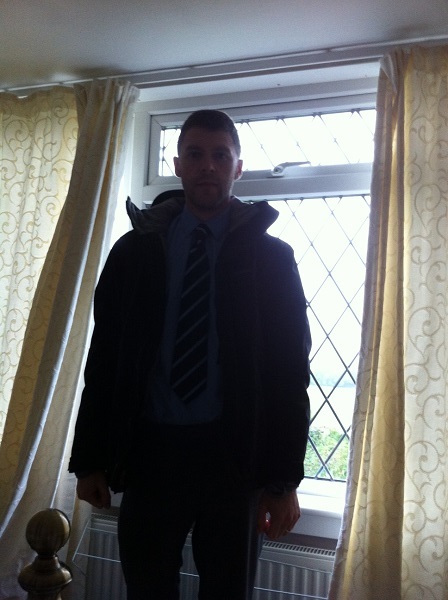 Becksie replied with a sleepy ‘you what’ and Ian declared it was officially autumn as he had come back to get his coat out of its summer retirement in the wardrobe. Becksie decided at that moment to a) photograph back to school Ian and b) that tonight’s dinner should be a pie! Surely a great Autumn dinner! 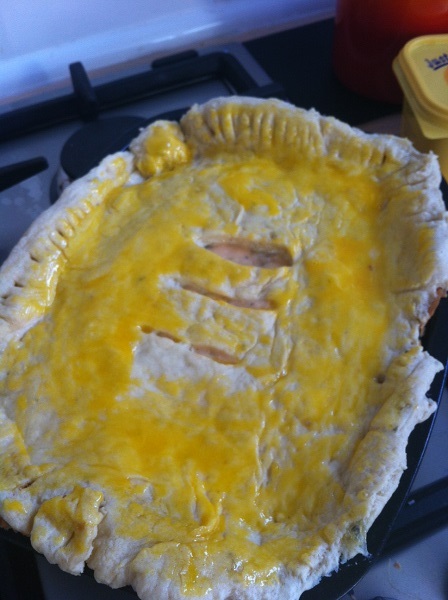 Now in true Team Pugh style this pie also serves the purpose of using up what we have in store and so the cheese, onion, haslet and baked bean pie was born in order to a) use up left overs and b) provide the back to school boy with a yummy and warm dinner! And….. if there is any left and it is warmer tomorrow the leftovers will work cold! 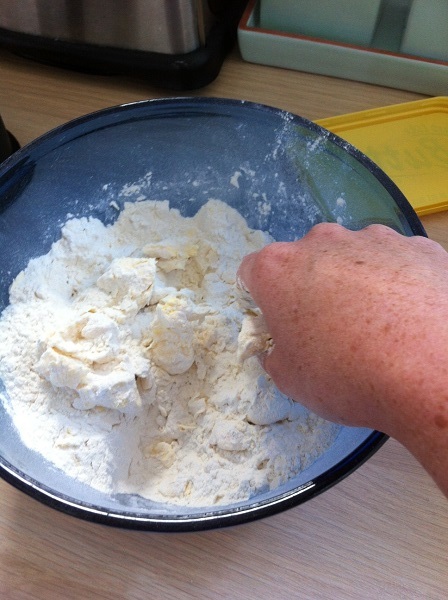 To make the pastry – rub the fats into the flour and baking powder until you have breadcrumbs. 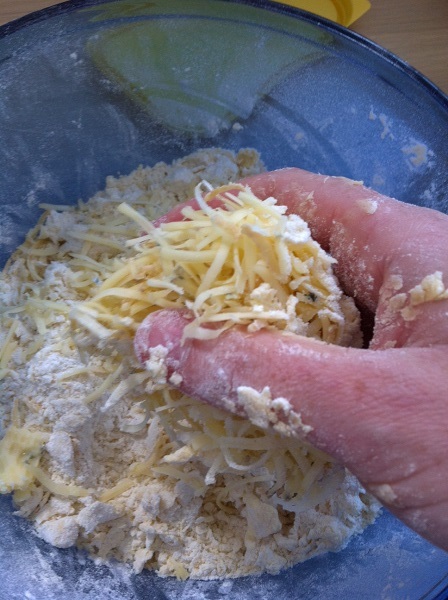 Add the salt and grated cheese then the water a bit at a time until a dough is formed. 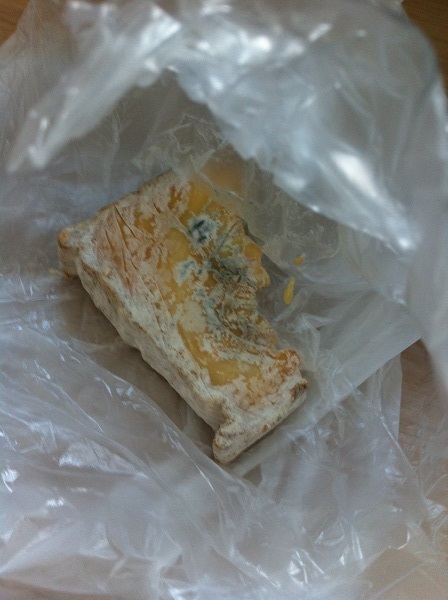 Cover with cling film and rest in the fridge for at least half an hour. 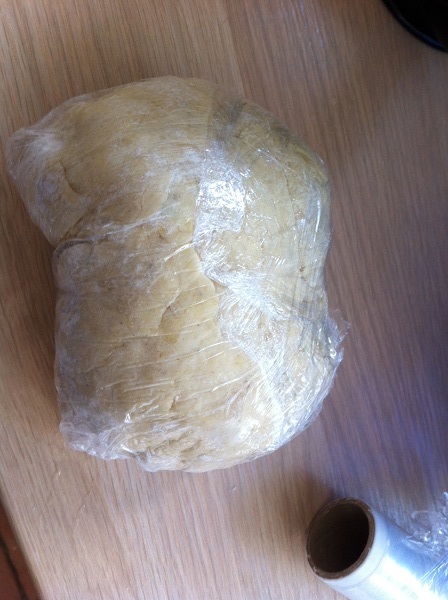 Roll out the pastry and line the dish (remember to leave enough for the lid). 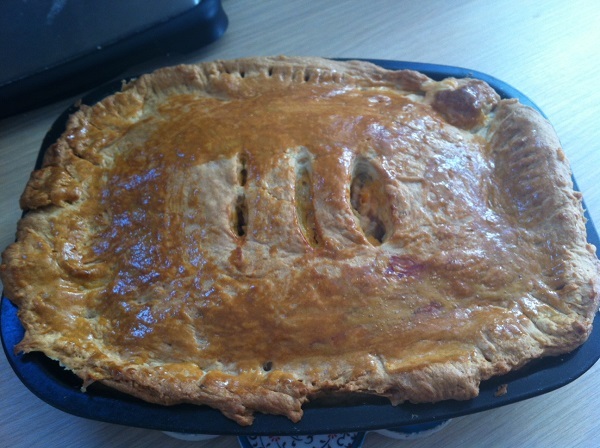 Bake blind for about 25 minutes in a hot oven (190c) – we really do not want a soggy bottom! Whilst the base is baking dice an onion and put in a bowl. 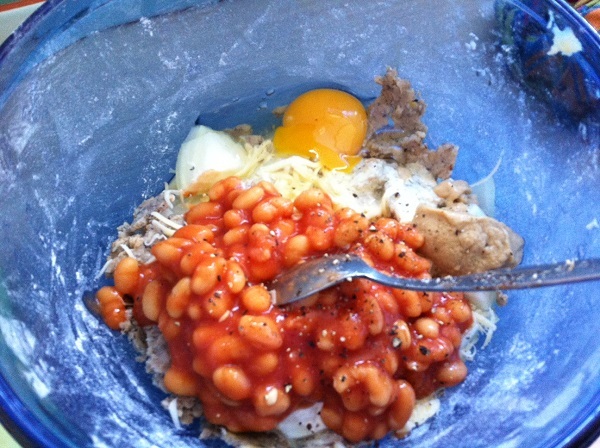 Add chopped haslet (bacon or sausage would work equally as well) and half a can of beans. Add a handful of grated cheese, a dash of cream (milk also works), a spoonful of mustard, a twist of pepper and a sprinkling of salt and an egg and mix until all combined. Remove the base from the oven and put the filling in. 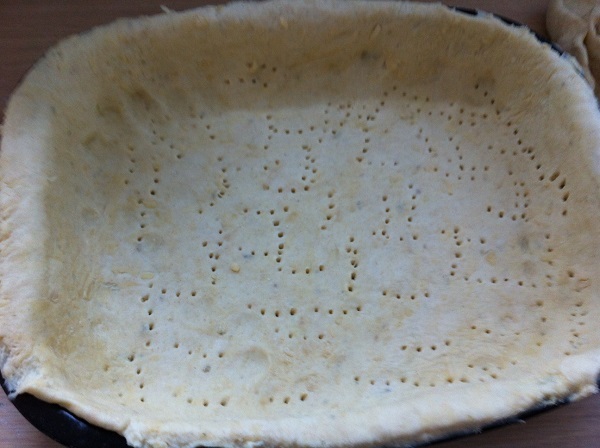 Top with a pastry top ensuring you put some holes in the top to let the steam out. Fork the sides down and glaze with egg (or milk if eggs are not in such ready supply to you). Bake for 35 minutes until golden and serve to a chilly Autumn human!